This post should really be titled no works in progress Wednesday because I haven't been working on anything since being home from Thanksgiving. I did get 4 stockings made while gone so that's good. The main reason I haven't gotten any work done since being home is because my work area looks like this at the moment. Once I get that disaster cleaned up I have a list of things to make and finish before Christmas. My sister's quilt that has been sitting around since her birthday in August, a couple stocking orders + 1 for a friend, curtains for my Mom, & other gifts for family members. I have about 10% of an Advent Calendar made, but I have a strong feeling it won't be done before the 24th. My sister's quilt that needs to be quilted. 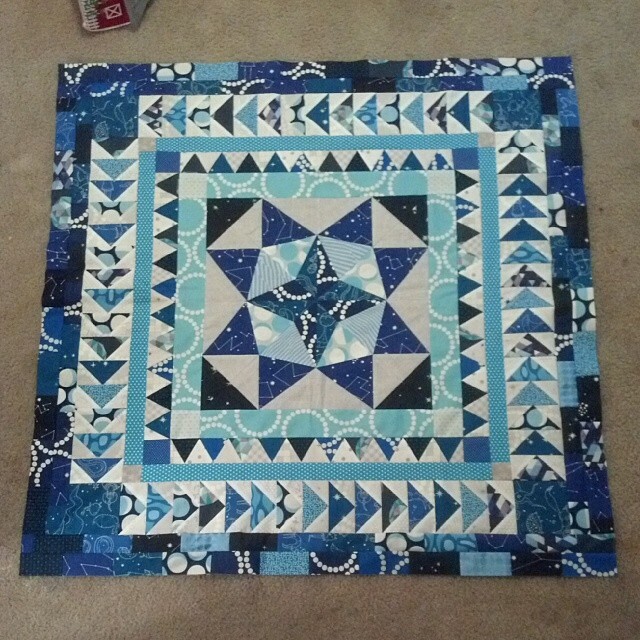 Plus I want to try and finish my Marcelle Medallion quilt top before Christmas, and I think that is going to be pretty darn easy to do since I only have a couple borders left to add on. Also check out my Traveling Stash Box Giveaway that is going on right now! I love your Marcelle Medallion, beautiful work! 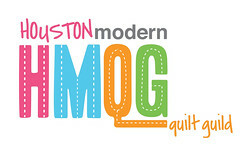 I love the quilt for your sister - such a great colour scheme too. And it's nice to see the Marcelle Medallion in such a limited colour palette - good luck with your goals! Really beautiful Medallion quilt. It is lovely to see it being made using just a few colours, it really is rather stunning. My sewing room looks like that sometimes! love the medallion, it is coming along so well! Wow - you have been busy. Love your medallion quilt - that's on my 'one day' list too. Your Marcelle is gorgeous. I love the blues. It is going to be stunning when finished. You are just so talented! Never in a million years could I do what you do...I'm amazed!